Four dental sales professionals from three dental supply companies are winners in the 2015 DentaCheques Sales Contest drawing. 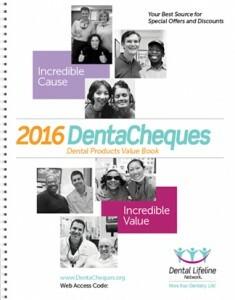 Revenues from sales of DentaCheques coupon books, offered by Dental Lifeline Network, a national dental charity, support free, comprehensive dental care to society’s most vulnerable people who have no other access to treatment. “DentaCheques helps people who can’t afford dentistry. It’s a win-win – great for the doctor and a great cause,” added Kevin Benevides of Henry Schein Dental. DentaCheques is now available in two versions; the printed book or a digital version, called e-DentaCheques. 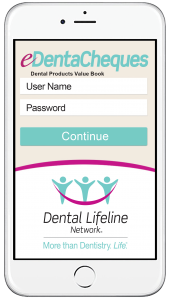 The new e-Book allows purchasers to view and redeem all coupons online, or through the e-DentaCheques app. DentaCheques and e-DentaCheques are both available for purchase through participating supply companies at www.DentaCheques.org.